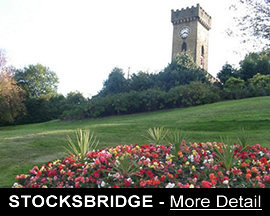 ​Stocksbridge is approximately 10 miles north of the City of Sheffield with excellent access to the M1 and Pennine routes. 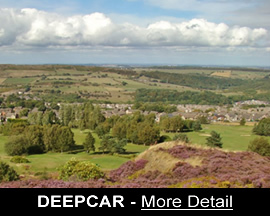 It lies on the edge of the Peak District National Park and is surrounded by spectacular countryside with wonderful views of the nearby reservoirs. ​The main shopping area is in the centre of the Town with public transport links to the hillside residential areas. The Town Hall and Library are situated in the Town Centre and there are many public houses and eating places located around the area. The Town&apos;s War Memorial is sited in the Clock Tower Gardens at the east entrance to Stocksbridge. Fox Valley is a new retail centre situated in the heart of Stocksbridge with close links to the major road networks. The High School which caters for children from the whole Parish is situated in Stocksbridge, along with two primary and infant schools and has been awarded specialist status for maths and computing. Stocksbridge has an excellent range of sports and recreation facilities catering for both young and old, including a leisure centre and swimming pool. 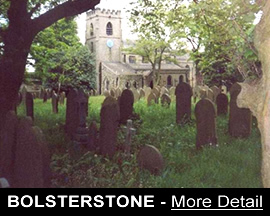 The area has a number of churches and together with Deepcar and Bolsterstone a range of denominations worship in the Parish. Stocksbridge is home to Liberty Steels, one of the world&apos;s leading aerospace metals manufacturers. 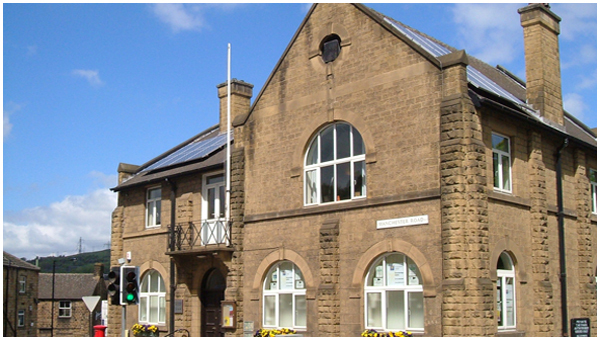 Stocksbridge is the base for many active groups, a number of which are run by volunteers. These community groups provide a wide range of benefits.